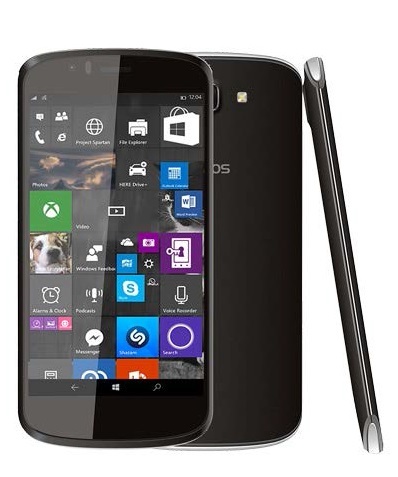 ARCHOS announces 50 Cesium with 5-inch screen and Windows 10 Mobile. Today, the French brand ARCHOS announces new 50 Cesium smartphone. The ARCHOS 50 Cesium runs Windows 10 Mobile right out of the box. The ARCHOS 50 Cesium smartphone will be presented at IFA in Berlin, beginning September 4, 2015 and will be available in November 2015 for £99. The ARCHOS 50 Cesium smartphone feature 5" HD IPS screen, 1GB of RAM, 8GB internal storage, 2100mAh Li-ion battery, 8MP/2MP cameras and Qualcomm Quad-Core processor which run at 1.1 GHz. The 50e Helium feature 4G/LTE connectivity and runs Windows 10 Mobile. Windows 10 Mobile is the latest Windows release and features Cortana, the Windows personal assistant, Microsoft Office apps, a more intuitive email inbox, and more. The ARCHOS 50 Cesium will be presented at IFA in Berlin, beginning September 4, 2015 and will be available in November 2015 for £99.